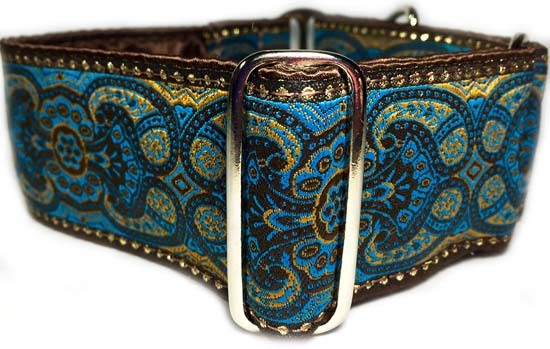 A jacquard ribbon in shades of brown and turquoise with gold highlight is sewn onto a base that is first completely wrapped in brown cuddle satin. 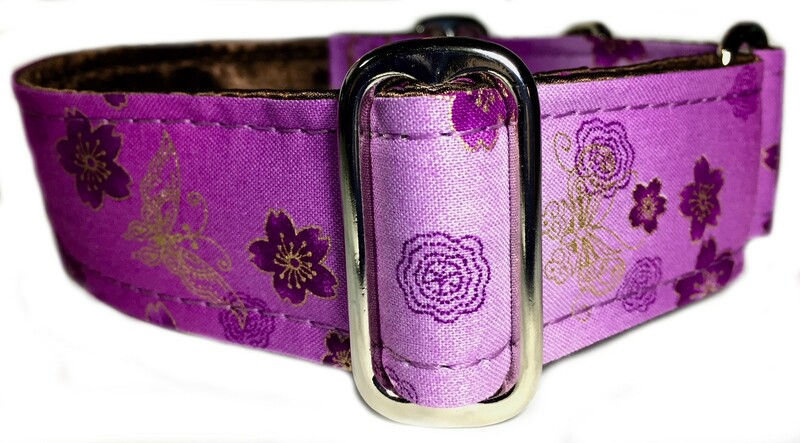 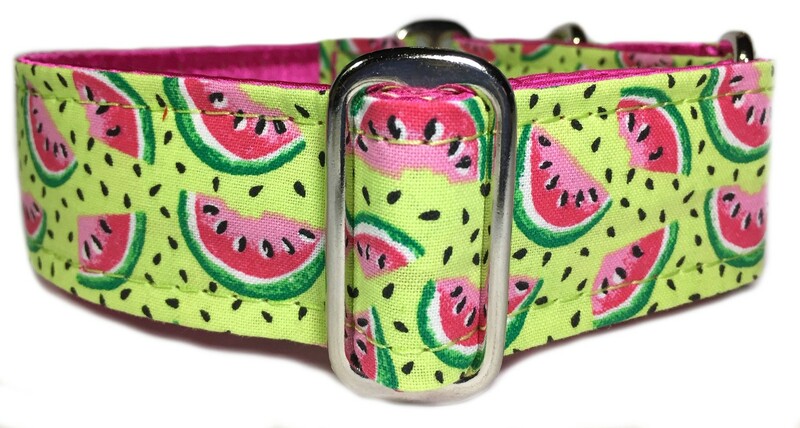 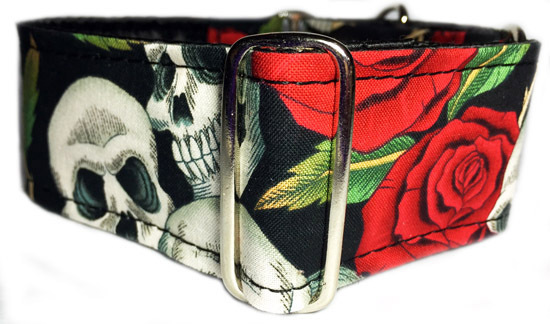 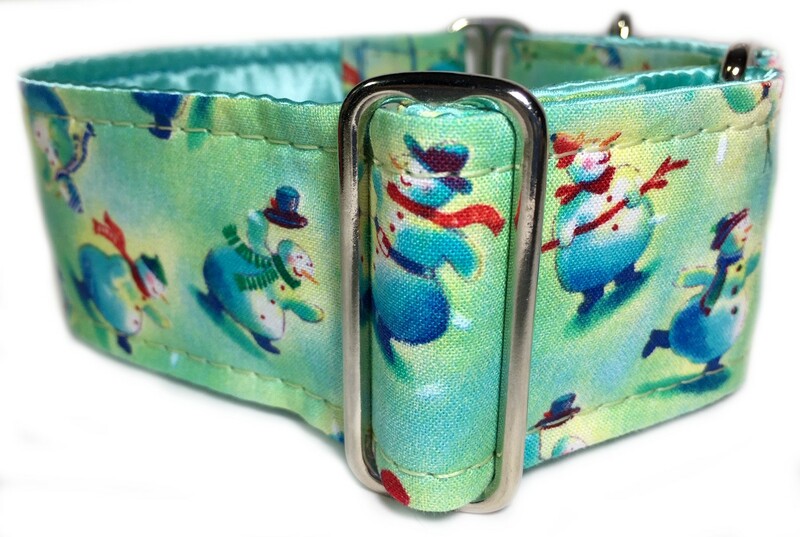 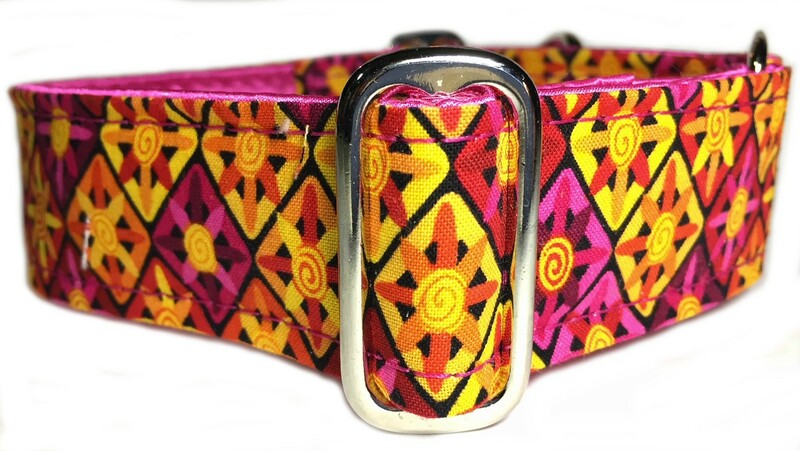 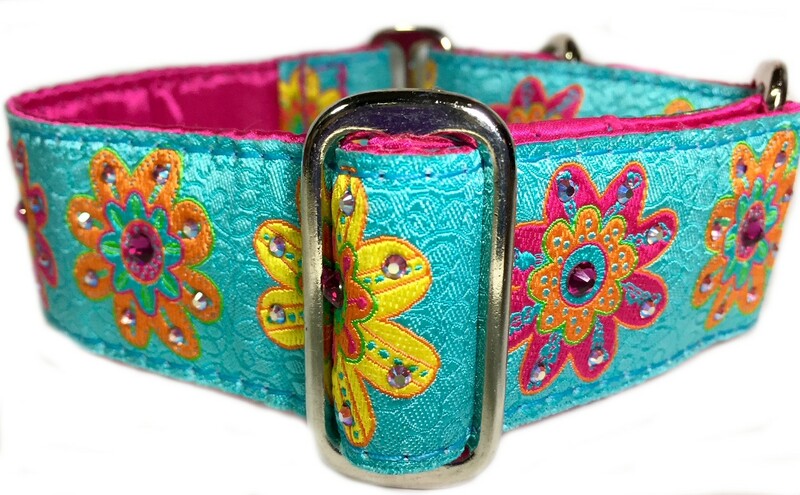 Available as a 2" wide collar only. 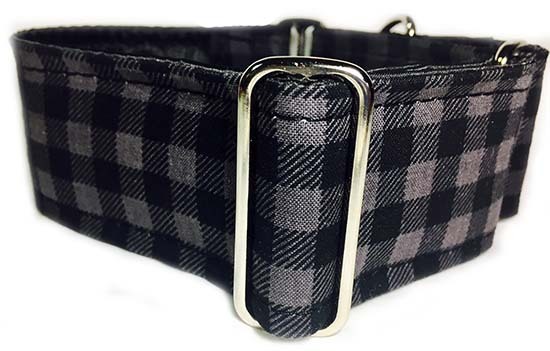 Please choose the size you need and the hardware you prefer below.